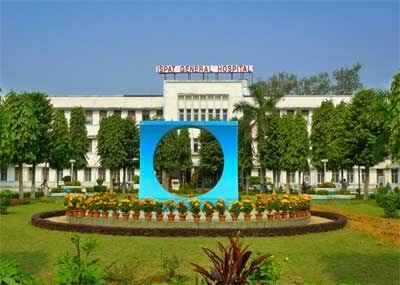 Bhubaneswar: Doctors from Ispat General Hospital (IGH) won laurels by bagging four prizes at the All India Steel Medical Officers’ Conference (ASMOC). The team from IGH won three first and a second prize and this number was the highest among participating Hospitals at the conference held at Ranchi from February 10 to 12, a release from Rourkela Steel Plant (RSP) said. Dr A K Singh, Director In-charge (M&HS) and his team of eight doctors attended the conference. Dr Sonia Joshi, Senior Deputy Director (Ophthalmology) and Dr M Dasgupta, Senior Medical Officer (Microbiology) won First Prizes and Dr (Maj) P J Roy, Medical Officer, Emergency and Trauma Centre won the Second Prize for their Papers presented at the conference. The duo of Dr Debashis Mahanta and Dr (Maj) P J Roy participated in Medical Quiz Competition and won the First Prize, it said. It is noteworthy that Medical Officers from the SAIL Hospitals, RINL, Tata Steel and MECON participated in the Annual Conference which was organised to enhance medical skills and knowledge of Medical Officers of Steel Plants across the country. It provides a platform for doctors to share latest developments in patient care. This year the Conference was organised by MECON at Ranchi, the release said. RSP’s CEO Ashwini Kumar has congratulated the winners for their exemplary performance and for bringing laurels to RSP.